Home » What would J.R.R. 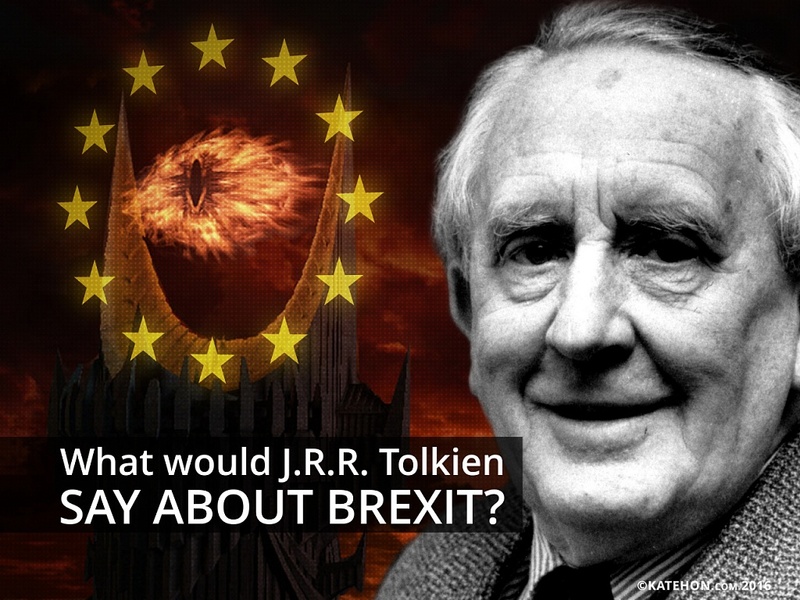 Tolkien say about Brexit? What would J.R.R. Tolkien say about Brexit? J.R. R. Tolkien died in 1973, the year that the United Kingdom joined the European Economic Community which later evolved in the European Union. He did not have the chance to feel all the charm of his country being in the EU. However, we can arrange for an imaginary experiment to understand how and why one of the greatest Englishmen of the last century might feel towards the EU and the possibility of leaving it. The mediævals were only too right in taking nolo episcopari as the best reason a man could give to others for making him a bishop. Give me a king whose chief interest in life is stamps, railways, or race-horses; and who has the power to sack his Vizier (or whatever you care to call him) if he does not like the cut of his trousers. If he was outraged by the bureaucracy of the Britain of his times, then you can imagine his reaction to Brussels with its ruling mechanisms and regulations. A new Power is rising. Against it the old allies and policies will not avail us at all. This then is one choice before you. us before. We may join with that Power ... There is hope that way. Its victory is at hand; and there will be rich reward for those that aided it. As the Power grows, its proved friends will also grow; and the Wise, such as you and I, may with patience come at last to direct its courses, to control it. We can bide our time, we can keep our thoughts in our hearts, deploring maybe evils done by the way, but approving the high and ultimate purpose: Knowledge, Rule, Order; all the things that we have so far striven in vain to accomplish, hindered rather than helped by our weak or idle friends. There need not be, there would not be, any real change in our designs, only in our means. If a soldier is imprisoned by the enemy, do not we consider it his duty to escape ?. . .If We value the freedom of mind and soul, if we're partisans of liberty, then it's our plain duty to escape, and to take as many people with us as we can! The fundamentally similar heroic temper of ancient England and Scandinavia can not have been founded on (or perhaps rather, can not have generated) mythologies divergent on this essential point. 'The Northern Gods', Ker said,' have an exultant extravagance in their warfare which makes them more like Titans than Olympians; only they are on the right side, though it is not the side that wins. The winning side is Chaos and Unreason'-mythologically, the monsters-'but the gods, who are defeated, think that defeat no refutation. ' And in their war men are their chosen allies, able when heroic to share in this 'absolute resistance, perfect because without hope'. …I love England (not Great Britain and certainly not the British Commonwealth (grr!)).. I have the greatest sympathy with Belgium - which is about the right size of any country! I wish my own were bounded still by the seas of the Tweed and the walls of Wales ... ("The Tolkien Family Album," (1992), page 69). If J.R.R. Tolkien were alive today, he most certainly would have voted for Brexit. He knew the price of freedom and wanted another future for England rather than its manipulation and destruction by the bureaucratic machine of Brussel's liberal monster.